Students with a BMSc degree can contribute to society in a variety career opportunities including professional programs, academic and other research institutions, and industry. 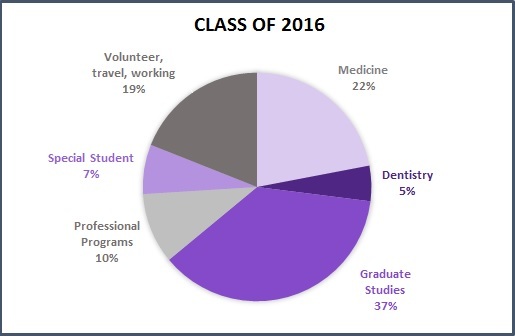 A large proportion of the graduates of this program choose a career in Medicine, Dentistry or Graduate Studies. 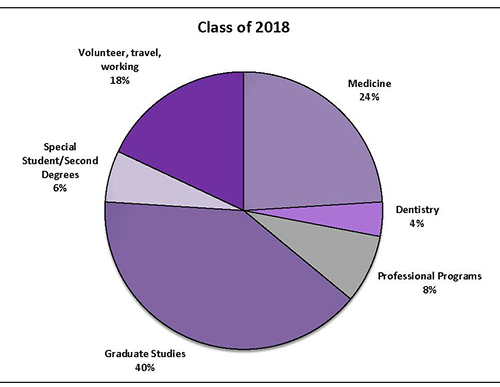 Others enter professional programs such as Pharmacy, Optometry, Law, Education, Physiotherapy, Occupational Therapy, Chiropractic, Speech Pathology, Veterinary Science and Nursing. 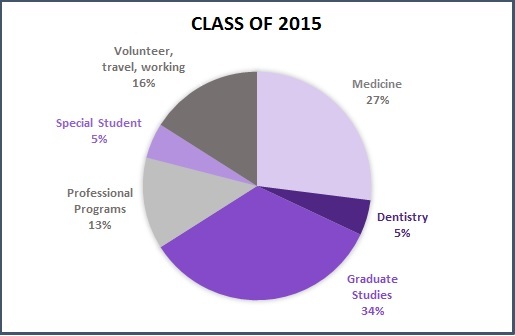 Each year BMSc graduates are surveyed to determine their career plans for the upcoming September. 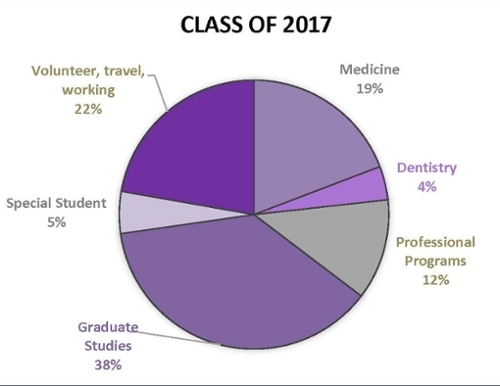 The following chart summarizes the responses from 328 of the 430 (76%) BMSc students who graduated in June 2018.